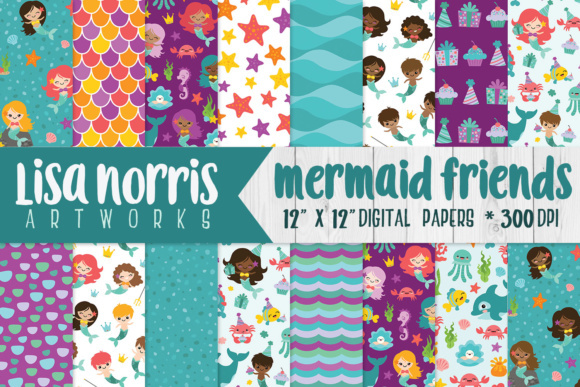 This sweet collection of sea themed digital papers features mermaids, mermen, and their sea creature friends. 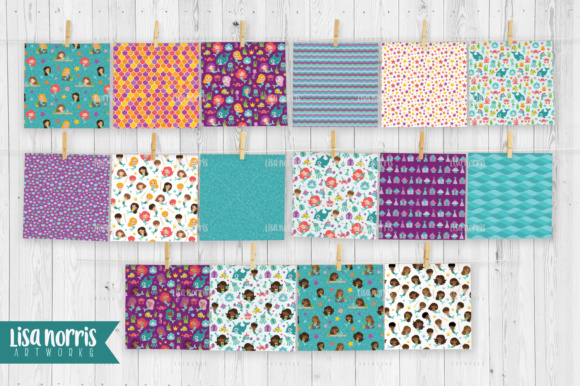 These digital papers are perfect for scrap booking, card making, invitations, labels, crafts, party decor, stationary, and DIY projects. They work great for digital use or printing. Please note that printed colors may vary slightly from those viewed on screen.